Delta police are searching for clues following a brazen morning bank robbery on Sunday. At 11:15 a.m., police were called to the TD Canada Trust Bank at the 7317 120th Street in Delta, where a male suspect had fled with an undisclosed amount of money. 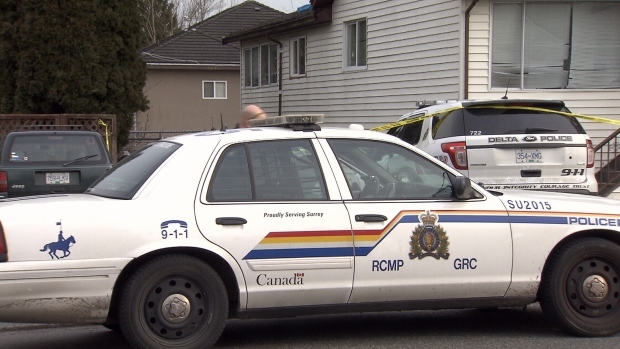 Police quickly identified a Surrey residence they believed to be associated with the crime and focused their search on the premises. Police say the investigation is ongoing and they don’t believe there is any risk to the public.